JXTC FrightNight - Very, very unusual pattern for Joomla on horror stories. Template created on the basis of template DUB JXTC. Powerful graphic joomla template XTC FrightNight. FrightNight with the original design in dark colors will make you scream with delight or horror. Great template for Halloween holiday. 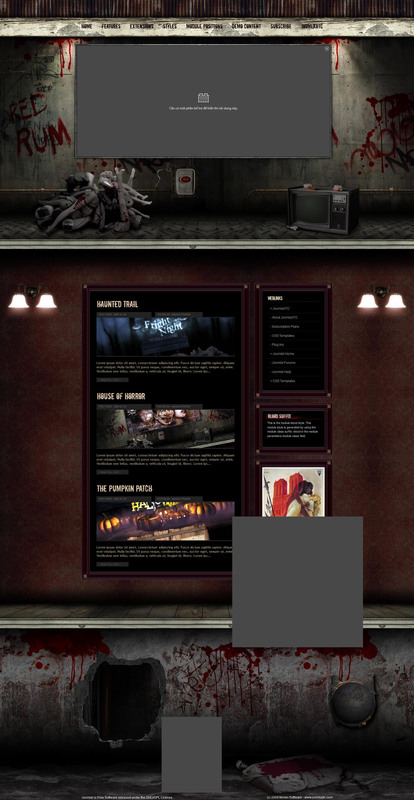 JXTC FrightNight - very creative template from the studio JoomlaXTC on halloween. The template has 3 visual style, 13 module positions and design in 2 columns.